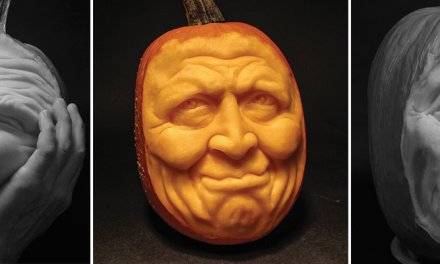 Don’t miss an issue, subscribe to Scroll Saw Woodworking & Crafts Magazine now! 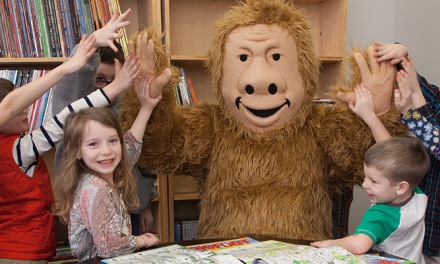 Check out this preview of the special Winter issue coming to newsstands on October 23. 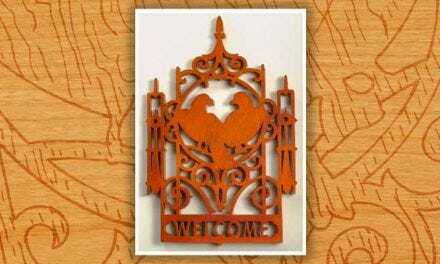 With beautiful holiday scroll saw projects for beginners to advanced, you can give the holidays a personal touch. The Winter 2018 issue is filled with holiday projects and patterns for gifts and treasures. Charles Hand will show you how to create highly detailed fretwork of a winter scene to add over your mantle. 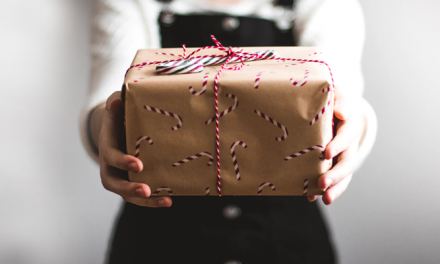 The simple design of Andreas Kullerkan’s wooden kazoo will teach children how to start scrolling and double as a holiday gift, while Sue May’s castle playset makes a fun heirloom wooden toy. Each issue of Scroll Saw Woodworking & Crafts Magazine offers step-by-step projects, photo-illustrated instructions for all types of scrolling, pullout patterns, and scroll saw reviews on the latest tools in the industry. When you subscribe to a two-year subscription, you will get a bonus holiday scroll saw pattern collection. Flying reindeer are as essential to the holidays as Santa himself; songs, classic cartoons, and even poems pay homage to these sprightly creatures. This intarsia wood design, caught at the moment of takeoff, is Judy’s addition to the mythos. 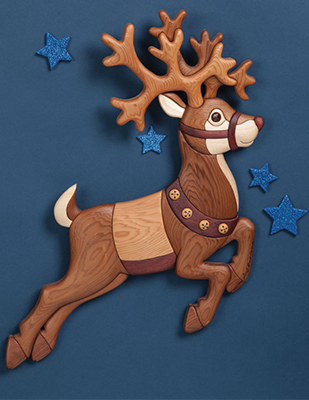 Be on the lookout for Judy’s free Reindeer in Flight scroll saw pattern later this month. Subscribe to get Judy’s Prancing Reindeer pattern and step-by-step tutorial. 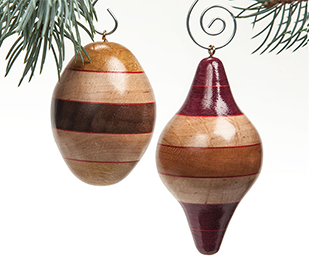 Use basic bowl-making techniques to make a set of glossy “turned” hardwood ornaments for your tree. This holiday season, why not use your stash of cut-offs to make festive ornaments for your table or tree? 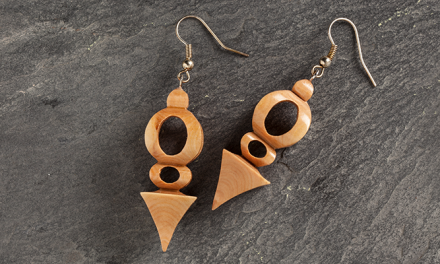 Subscribe for Carole’s full instructions and scroll saw patterns. 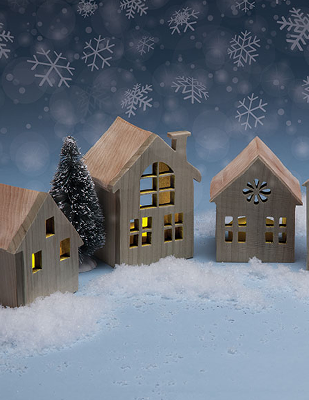 Illuminate this two-part winter scene with a simple tealight to add a cozy corner to your home. 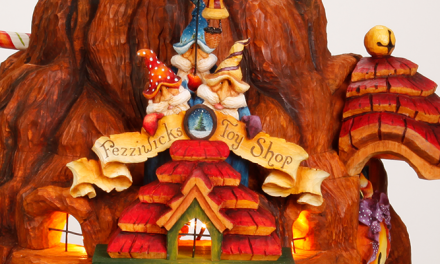 It’s not really Christmas until there’s a Christmas village under the tree. Add a model train to your village or use the town’s character on its own. Subscribe for Sue’s full how-to and village patterns. Subscribe now to get your winter issue! 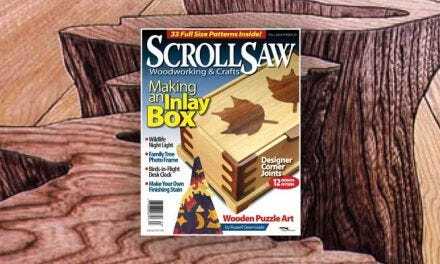 Whether you’re a rookie or a seasoned scroll sawer, Scroll Saw Woodworking and Crafts Magazine is your one-stop source for making all your scroll saw projects a success! From easy weekend projects to complex creations that will challenge your woodworking skills, you’ll always find something that will have you eager to start making sawdust! 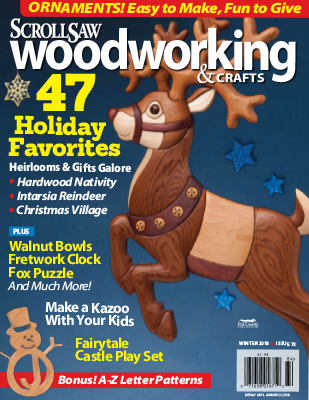 Don’t miss an issue, subscribe to Scroll Saw Woodworking and Crafts Magazine now! 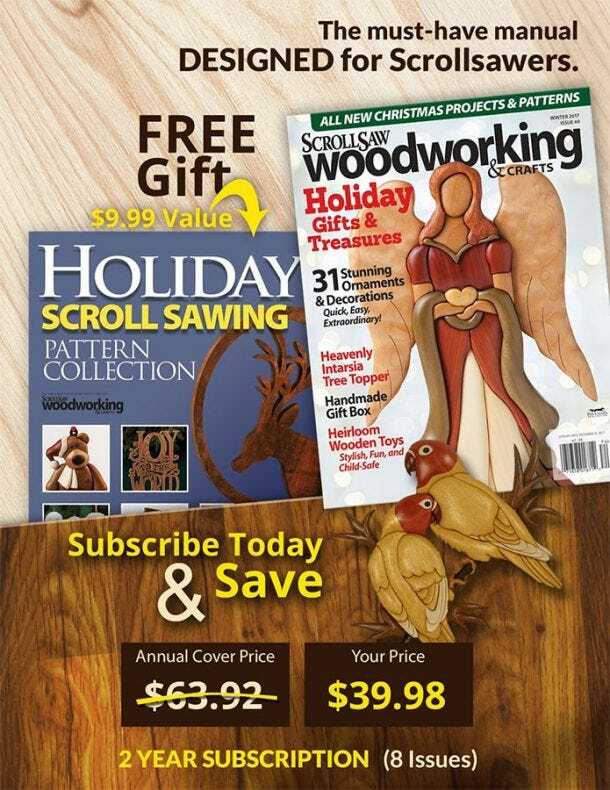 For a limited time, get a FREE Holiday Scroll Saw Pattern Collection booklet with your two-year subscription renewal of Scroll Saw Woodworking Crafts magazine, check it out here!